Critical thinking is about to become one of the most in-demand skillsets in the global job market. As automation and artificial intelligence have a greater and greater impact on the role of the human in the workplace, the need to stand out by developing advanced thinking skills like problem-solving, reasoning and creativity grows ever stronger. A global study carried out by Macat in association with The University of Cambridge, discovered that 84% of senior managers believe their organization suffered a loss due to an absence of critical thinking in their workforce. Concerns center on a recurring failure of many employees to analyse data correctly due to a focus on developing job-specific skills, rather than those that can be applied to new and changing situations. The study also revealed 62% of respondents said their organization doesn’t do anything to ensure it hires applicants with strong critical thinking skills – skills new employees increasingly require if they are to hit the ground running when they arrive.  Macat's solutions help employers to recruit, assess and train critical thinkers with minimal disruption to business operations, helping their business to be more efficient, creative, and successful. critical thinking assessments and training with minimum disruption. measureable improvements and see benefits in real-time. strategies for a smarter, more productive workforce. Macat Critical Thinking Assessments are delivered on a powerful, all-in-one critical thinking assessment and measurement tool, helping businesses recruit and develop a next generation of business leaders. Macat Critical Thinking Assessment & Development combines comprehensive assessments, powerful analytics and engaging learning resources to create one complete critical thinking development solution. Macat Critical Thinking iLibrary introduces critical thinking through analyses of the world’s most influential books, providing employees with an interesting and engaging way to read and learn, whilst also developing the skills that helps them to think smarter at work. A smart addition to your corporate incentives package. Analyses from the Macat Critical Thinking iLibrary are sold in print by our approved reseller Routledge, part of the Taylor & Francis Group. Visit the Routledge website for more.